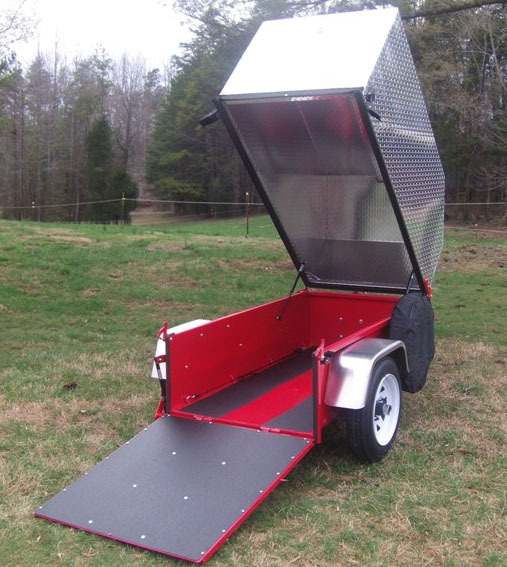 Carry up to 600# within this hitch-mounted trailer. It even has an aluminum top option to keep your equipment out of the weather and secure. 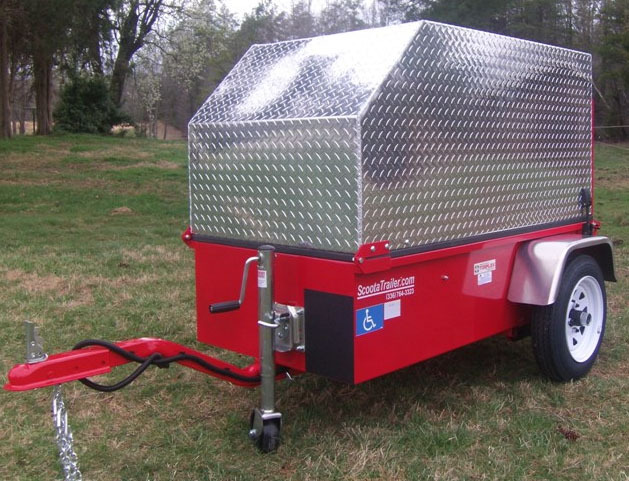 The ScootaTrailer is one of the lightest enclosed transporters of mobility scooters and power chairs in the industry! Tie down rings and straps are provided, to secure your unit so it remains stationary during transport. It backs very similar to a 4’x8′ trailer with some practice. Bounce is minimal. The axle supporting your scooter is a soft, rubber ride suspension axle called a ‘torflex’, and will adjust to road conditions. The trailer is equipped with high speed bearings and E-Z lube greaseable spindles. The tire rating is a considerably higher capacity than is required. 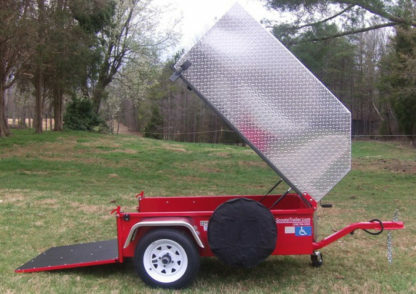 And best of all, the trailer’s unique design will never allow itself to sway behind any vehicle at any speed, at anytime. 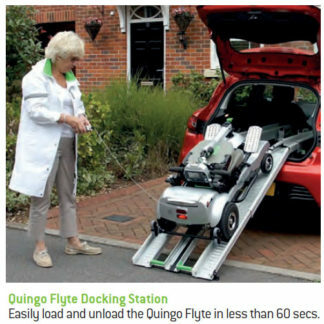 The trailer can be disconnected from your tow vehicle, then easily rolled aside for storage. 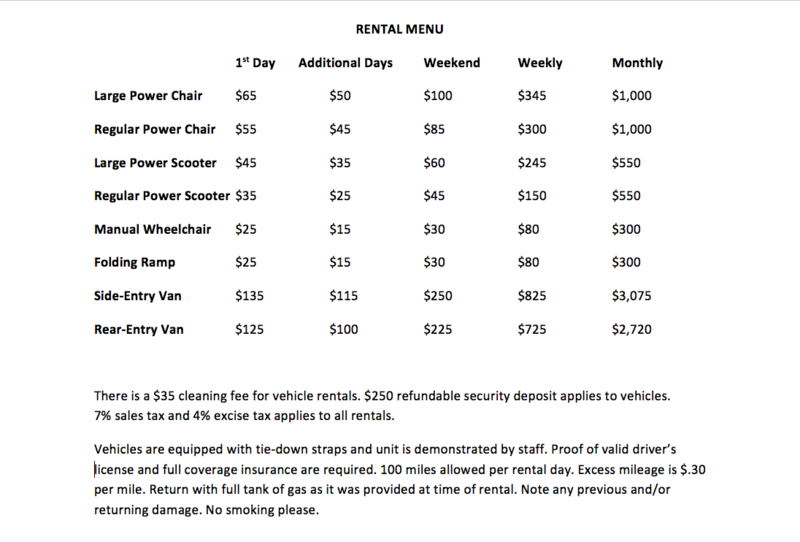 Have a small vehicle? 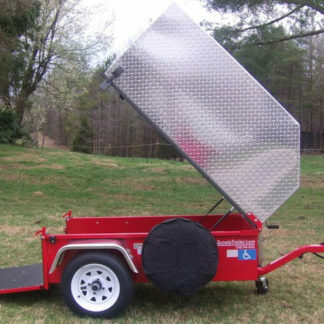 As long as a trailer hitch is available for the vehicle of your choice, it is capable of towing the trailer. 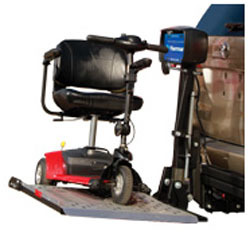 It weighs 285 pounds (335# with the aluminum top) but only places 35-75 lbs directly onto your tow vehicle’s trailer hitch. Specs: GVWR/GAWR 900#, Tire size 480×12″ LRB, Tire Rating 765 lbs @ 65 psi. Title include. Dimensions: 29 1/2″ x 60″ inside. 40″ inside height.